I had a dream some nights ago. Following the blissful song of a winding river, I clambered from one rock to the next, with each bend of the course promising myself one more. Eventually I came to rest, dropping into a deep pool at the foot of a cheerful waterfall. With my back against a large rock and the gentle motion of a band of reeds by my side, I soon found my slumber. Weep worthy. Oh how my heart longs. Lovely! The message on the drawing reminds me of Dharma Bums! 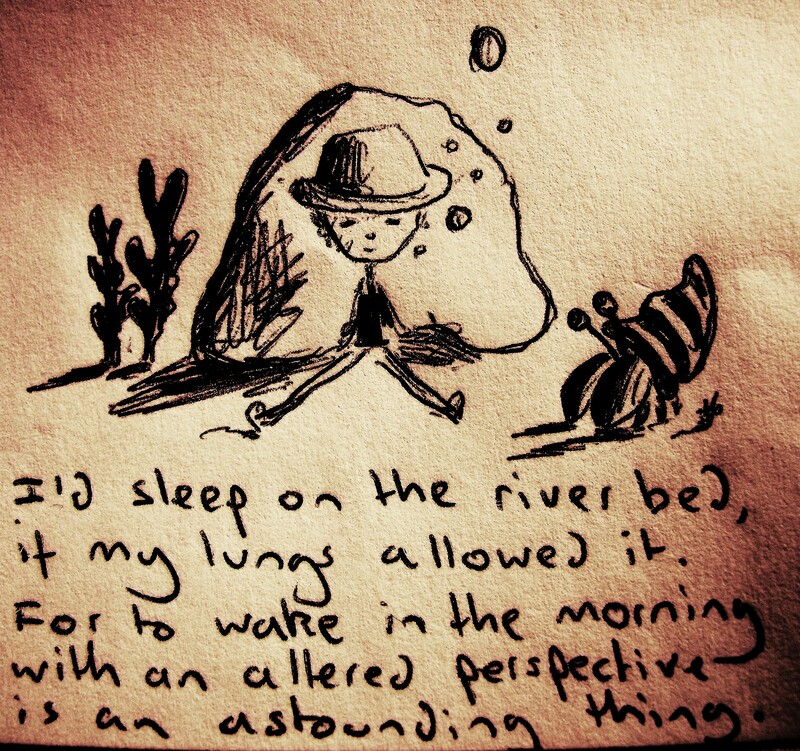 That’s that magic of the dream, Sophie; it wrote the lines and I just sketched around it.